Loreto students achieve record number of As in Leaving Cert results! This years 105 Leaving Certificate Students at Loreto Community School have provided yet another set of results to be exceptionally proud of with a record number of A grades being achieved. Lots of smiling faces adorned the school this morning reacquainting with school friends as they all anxiously awaited their results. There is no doubt both staff and students in Loreto C.S. are in good spirits this morning with ALL of our students´ results. 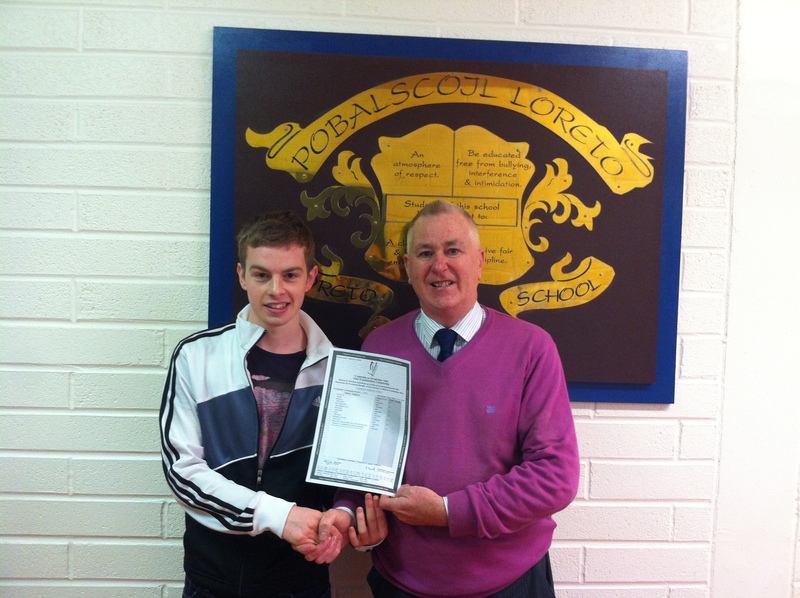 Many students achieved 500+ points with a very special congratulations to Padraic Ferry who achieved 7 A’s in his exams. Many students achieved numerous As in their results today ranging across all subject areas. A record number of Distinctions were also achieved by our LCA and LCVP students. Project Maths Higher level uptake has increased year on year with every single student achieving the 25 extra Bonus Points. We continue to encourage our students to take the Higher Level papers in all our subject areas with many in accordance and above the National Average. Student choices range from Medicine and Architecture to Social Studies and Sports Science and no doubt the students of Loreto C.S. will go on to excel in their chosen career path. We wish them luck on their new beginnings and ask them to remember their roots. 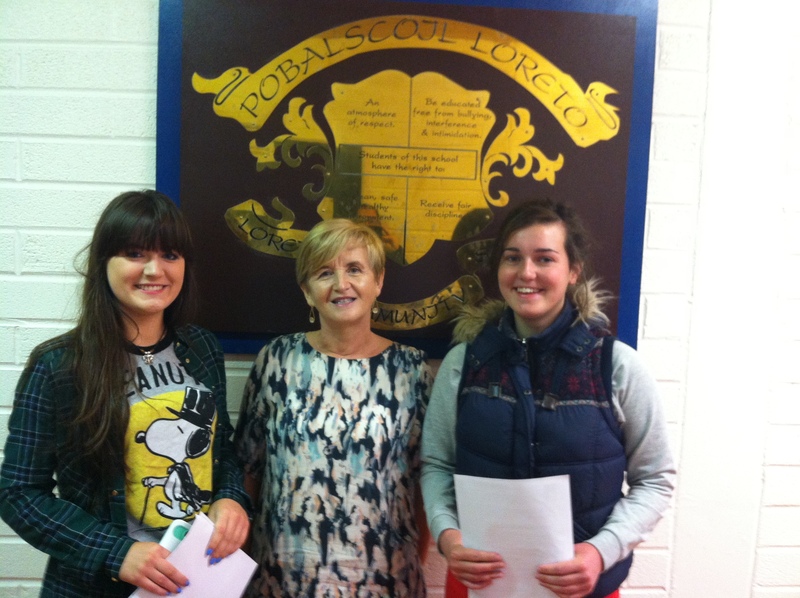 Receiving their results are Roisin Carr, Year Head R. Bn Ui Rian and Hazel O Driscoll. 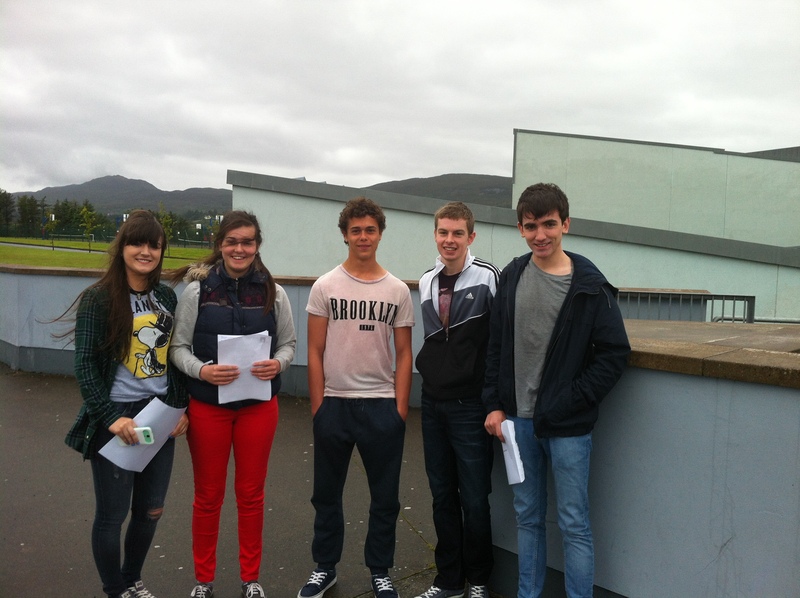 Roisin Carr, Hazel O Driscoll, Adam Khavia, Padraic Ferry and Seamus Doherty.